You are listening to ReachMD, The Channel for Medical Professionals. 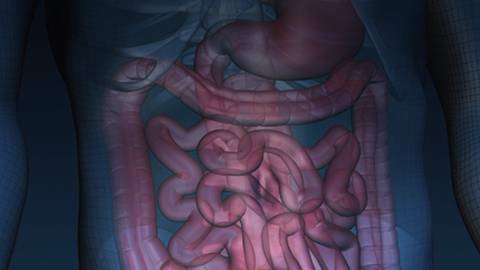 Welcome to GI Insightswhere we cover the latest clinical issues, trends, and technologies in gastroenterological practice. GI Insightsis brought to you by AGA Institute and Sponsored by Takeda Pharmaceuticals North America. Your host for GI Insights is Professor of Medicine at University of Illinois, Chicago, Dr. Jay Goldstein. The practice of gastroenterologist directed propofol has deeply divided professional societies and is even controversial amongst gastroenterologist even though the evidence shows that this is probably safe, there have been barriers to its implementation and growth has been relatively slow. To answer why this is occurring, we have Dr. Douglas Rex, Chancellor's Professor and Professor of Medicine at Indiana University School of Medicine and Director of Endoscopy at Indiana University Hospital in Indianapolis. It's good to have you here. Well, let's get down to the mean of the issue. What is gastroenterologist directed propofol administration? Well, essentially it's the administration or use of propofol for endoscopic procedures without the presence of an anesthesia specialist, without an anesthesiologist, without a CRNA in the room or participating in the procedure or billing for the administration of sedation, and it's been done either by having trained registered nurses, who are actually pushing the medication, that's been the most common model that's been used, although there are a few GI docs, who have developed substantial experience, basically actually giving propofol themselves and doing the procedure themselves. That's been an uncommon model, but we've found a few examples of that. Well, you are on national societies, looking at the committees and such, what's your personal feeling, what's the feeling in the GI community about these independent scopers and anesthesiologists, if you will, giving the propofol themselves, is this the position of the national societies or is there more of a national trend or position that's been taken or developed. Well, I think the sort of official opinion of the GI societies would be first of all that The use of an anesthesia specialist for routine procedures in average risk patients is not cost effective approach and secondly that there is a large evidence base that endoscopist and their team of registered nurses can administer propofol safely and that's about as far as the official positions go, practices across the country are highly variable, sort of dependent on what the state rules are, often institutional rules, which tend to be set up by anesthesiologists forbid GI doctors from getting into this, but as you were mentioning earlier, the growth overall, an endoscopist-directed propofol has been pretty slow and I think it has to with the medicolegal concerns about getting involved and sort of the fear of it that has been engendered by the approach of the anesthesia societies. The American Society of Anesthesiology is opposed to anyone other than anesthesia specialist using propofol and they've issued some statements in that regard and the package insert for the medication says that in order to give it you should be trained in general anesthesia, which has been interpreted by some to mean that you should be an anesthesia specialist. You know, we use a lot of drugs that, in various fashion is off label, and I personally think the evidence base is so strong, but the evidence clearly supports gastroenterologists and other endoscopists being able to do this, but it's really largely a political issue. There are a huge number of financial incentives that are involved that one needs to understand to understand all the viewpoints and opinions. Well, what are some of the financial concerns? Well, I think the financial concerns from the standpoint of people who are interested in developing gastroenterologist directed propofol, and really that's the entire motivation for doing it is to try to be careful about the growth of cost in the administration of endoscopy, so there aren’t really short term gains for individuals, who are administering propofol themselves, and I am in that group, we don’t bill for it. Normally, when we perform endoscopy, part of our fee, nobody really knows how much of the fee it is, is for the administration of sedation and so the potential advantages of limiting the growth of anesthesiologist in endoscopic practice are first of all to society. It's been estimated that if anesthesiologists become involved in all endoscopic procedures, we would add about 5 billion dollars per year to the cost of healthcare in United States, and of course, it's patients who ultimately pay for all that and given a lot of the issues that we face from a societal perspective in terms of healthcare costs, that's a rationale to limit it unless we had an evidence base to show that it's really necessary for safety and such an evidence base doesn’t exist. From the perspective of gastroenterologist, unimportant, I guess long-term perspective is that our procedures are competitive to some extent with other procedures; an example would be colonoscopy competing with CT colonography. As the cost of our procedures become higher, we become relatively less cost effective compared to competitive strategies and so I think that there is a long term, at least, incentive for us. On the other side of it, the anesthesiologists have, of course you know, significant financial incentives because they get paid well to administer so called monitored anesthesia care which is what they usually bill for when they are giving propofol for endoscopic procedures. Well, I've heard that many of the people in free standing endoscopy areas, the ambulatory surgery centers actually enjoy the presence of an anesthesiologist because they increase their throughput; you want to comment on that? I personally don’t think there is any evidence for that, people talk about that as a potential incentive. There definitely is a financial incentive for a gastroenterologist to associate with an anesthesiologist because the presence of an anesthesiologist reduces other costs that you have in the ASC. For example, if you don’t have an anesthesiologist, you need a registered nurse there, typically to administer sedation and to monitor the patient and the presence of an anesthesiologist eliminates the need for that person, you just need a technician in the room to assist you with the technical performance of the procedure, so your costs go down and therefore profits go up. As to whether or not they increase throughput, I think they can in individual cases. I mean, you know the efficiency of an endoscopy unit is dependent on a variety of factors and if you get the right anesthesiologist, just like if you get the right RNs or the right team of people, who are very efficient, you can increase efficiency, but part of the reason that the opinions are very divided within the GI community is that part of the GI community, you know is, I guess, experiencing the short-term financial gains of associating with or employing the anesthesiologist or a CRNA. Sometimes these groups hire CRNAs. They are able to bill for the CRNA services, pay the CRNA a salary and then difference between the billing and the salary becomes another revenue stream for the group and it's really that concerns about the long-term effects of this on endoscopy and again I think ultimately we have to go back to the fact that there isn't an evidence base to support it that are of long term concerns. If you are just tuning in, you are listening to GI Insights on ReachMD, The Channel for Medical Professionals. I am your host Dr. Jay Goldstein and joining me today to discuss payment and implications of sedation in endoscopy is Dr. Douglas Rex, Chancellor's Professor and Professor of Medicine at Indiana University School of Medicine and the Director of Endoscopy at Indiana University Hospital in Indianapolis. Well, let's go back to this idea, we talked about propofol, are there other drugs or other approaches to anesthesia that are under development that warrant our discussion. Well, I think that a fundamental approach that I guess should be acknowledged by everybody is first of all the idea that propofol is not necessarily a drug that's only used for deep sedation or general anesthesia and Dr. Lawrence Cohen in New York and Dr. Anthony Clarke in Australia have really championed this idea of what's called balance propofol sedation or combination therapy where if you give small doses of an opioid and/or benzodiazepine prior to administering propofol, you actually can titrate propofol to moderate sedation. It's very difficult to do that with single agent propofol but the characteristics of the sedative properties change or at least what you get clinically change is when you give it in combination and that's a model that presumably would alleviate some of the safety concerns. It's been shown really that you are less likely to get in a deep sedation with that combination than you are just giving straight opioids and benzodiazepines. The other things that are being looked at right now are fospropofol, which is a pro-drug propofol. It's a water soluble propofol that gets converted directly into propofol after intravenous administration. It was recently submitted to the FDA with the hope that it would be approved for administration by non-anesthesiologists, but the latter did not take place. I personally think that fospropofol is not a big gain, actually after administration of fospropofol, you get fairly slow rise in propofol levels compared to straight administration of propofol and the problem is you get a fairly slow fall off in blood levels of propofol. The big advantage of propofol and the reason it turns out to be very safe for experienced non-anesthesiologist to give it is that the blood levels fall so rapidly that if you do get some apnea, as long as you are careful in administration, it's typically very brief in duration. This has produced this enormous safety record that now is approaching 600,000 patients that I am aware of where non-anesthesiologists have given propofol. To give fospropofol and you give too much, unfortunately, you've to live with it for a longer period of time, and because there is no reversal agent for fospropofol just as there is no reversal agent for propofol, you are going to be dealing with apnea for a longer period of time. I would like to thank my guest from the Indiana University School of Medicine, Dr. Douglas Rex for spending time with us and discuss sedation in endoscopy. I look forward to future programs with you, Doug. Thank you for joining us today. You've been listening to GI Insights on ReachMD, The Channel for Medical Professionals. GI Insightsis brought to you by AGA Institute and sponsored by Takeda Pharmaceuticals, North America. For additional information and on-demand podcasts, visit us at www.reachmd.com and use promocode AGA. Takeda Pharmaceuticals, North America is proud to sponsor this important and quality programming for ReachMD listeners. Takeda does not control the editorial content of this broadcast. The views expressed are solely those of the guests, who are selected by the AGA Institute. Based in Deerfield, Illinois, Takeda Pharmaceuticals, North America, is a wholly owned subsidiary of Takeda Pharmaceutical Company Limited, the largest pharmaceutical company in Japan. In the United States, Takeda markets products for diabetes, insomnia, wakefulness, and gastroenterology and is developing products in the areas of diabetes, cardiovascular disease and other conditions. Takeda is committed to striving toward better health for individuals and progress in medicine by developing superior pharmaceutical products. To learn more about the company and its products, visit www.tpna.com. Gastroenterology-directed propofol is controversial among many practitioners, even though evidence suggests it is very safe. What barriers are there to gastroenterologists administering propofol, without an anesthesiologist on site? Guest Dr. Douglas Rex, Chancellor's Professor and professor of medicine at Indiana University School of Medicine, and host Dr. Jay Goldstein examine the reasons for the slow growth of gastroenterologist-directed propofol, and what the future of anesthesiology might be for gastroenterologists.